You know, I was going to do this post as C is for Compromise, but it simply wasn't meant to be. Regardless of how I wrote it I wasn't happy with it, So I'll do it as C is for cleaning. I HATE CLEANING. I can't say enough how much I am not a particularly good housekeeper. NOW.. I do enjoy the results of cleaning, but it isn't my particular cup of tea. BUT I have a hubby is grumbles and gets uptight if the house isn't in some semblance of order so clean I must. Today I am cleaning the lad's room. YES.. .it is a quadmire of despair. THIS mess I (yes me, I) can't take anymore. It just makes me upset to see it all. This is from a couple years ago, but the mess he has now is similar if not worse. So we are going to clean it today. In between we'll take breaks and we'll do math and reading and what not. 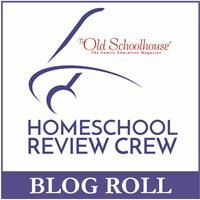 We'll get homeschooling done and we'll also be studying homemaking. This is something that I am working hard one with the lad this year. Learning some homemaking skills. He was so happy when we got the mess cleaned up. To that end he'll end up with a much cleaner room. See.. he has room to build things now. This is a good thing. :) Today my son has a goal in mind. He wants to find his missing hex bugs. They are in his mess SOMEWHERE it's just a matter of locating them. :) I am hopeful to reduce his toys by 1/4 leaving him room to store his homemade toys in his room. To that end we are spending four hours every week just cleaning. We normally get the main floor clean and tidy, but sometimes we do things like yard work, individual rooms (like bedrooms), basements (way too often lately with floods and what not), and so on. Product: I received the premium membership. They also have free memberships (one with registration, one without) which gives lots of aid in spelling vocabulary words. The premium is just MORE. :) And the more is good. Schools are priced per student - click HERE for prices on the entire school. So just what is VocabularySpellingCity you might ask? Well .. in the words of my boy "it's a computer lesson that helps me remember the words in books I am reading". That's how I use it with my learning to read better son. Every night we have a book we read, it's thematic, so words repeat themselves in different short stories throughout the book. The words that he struggles to read I can put into my very own vocabulary list and it helps him learn to spell them, to say them, and so forth. We read and practice and listen and... my boy is becoming a more confident reader. :) THIS is a good thing. And in the words of this homeschooling mama? "VocabularySpellingCity is a place where I can go to target words that my son repeatedly says "I don't know that word"". It helps him to "get" those problem words and know how to spell them as well. My lad sometimes needed help to stay on task and to listen. There is so much verbal help with this program that paying attention is important. :) And remembering to follow instructions is an equally valid part of learning is it not? And check out the teaching resources. This is such a helpful site and I know I didn't manage to discover it all yet. If I haven't sold you yet on the benefits of getting the premium membership, please watch this video. I love the ease of making up my own spelling/vocabulary lists. They can be short or long, I averaged 10 words per list, mixing harder words with easier words. I set the tasks my son was expected to perform and then let him at it. I struggled with (as did my son) the need to capitalize his spelling words. They would credit it as wrong if he didn't put the capital on it. Wasn't sure why that was.. perhaps it was my input method, or just a quirk in the problem. We used to have a dog. We used to have two dogs in fact, but then went down to one due to older age, and then we lost Miss Sassy as well. That meant I went for ALOT of walks. :) I'm a firm believer that if you have a dog you have to get it out for walks. It's good for you and it's very good for the dog. Sassy was with me all the time. For a while she'd escape from the yard just so she'd be with me. We had to do SO much dog proofing to contain her. Anyways, the point of this was... we went for alot of walks. Gives a body time to think. Since we no longer have dogs, I don't walk as much as I used to. I've started doing that again and have discovered how much I missed it. Walking around the town, seeing what is happening, flowers, yard clean up, neighbours out with their dogs, trucks early in the morning doing their thing, and just the time alone. How I have coveted silence... and now.. for 30-45 minutes in the morning, I have silence. I am loving it. I am loving being reminded of the beauty in my town. Part of what I am doing with that silence is thinking about the week's sermon. This past week Pastor (not our regular pastor, a guest) preached on Rev. 2:18-29. In Revelation 2:18-29 we read. click image to go to link. this is not my picture it comes from Futility Closet. Yesterday I pondered Jesus with eyes of fire and burnished feet. Today I wondered about Jesus as the Morningstar. Wondering what does it really mean to see Jesus as the Morningstar. Morningstar... it can be weapon you know. A medieval spikey club, but that's not the imagery called for here. The imagery is one of brightness and of glory. The first thing you see on the horizon in the morning. That bright ball of flame .. kinda goes along with him having eyes of fire and burnished bronze feet. Jesus is Dazzling. Hard on the eyes, so full of brightness and glory. Can you picture it? But now imagine all that brightness, all that light, in a world of darkness. Aren't you drawn to it? Can't you see how it chases the darkness away? How it bids you draw closer. Most folks don't like to abide in the dark. We want to be where we can see. Jesus is that light, he helps us to see in the darkness. It was dark on my walk this morning. For a while I thought about going through the bush, but said nope to myself... don't need to walk a trail in the dark...but in the distance I saw a bob of light and for a moment thought to follow it. But the light helped it's people to see. And if I had been close enough, it would have helped me see as well. Light draws us. It shows us the path in the darkness. I want to be like my dog Sassy. With ears for my master's call FIRST. I want to be drawn to the light of Christ as Sassy was drawn to the sound of my voice. What do you want to be drawn to? Making Cookies when you have a helper is a fun way to fill an afternoon. When you are a homeschooler, if it also a fun way to do math, science, following instructions, reading and so much more. On this day we also learned the art of compromise. I don't do chocolate well (my current health stuff negates chocolate) and my boy LOVES chocolate (as does his dad). So we make oatmeal raisin cookies, but half of them became oatmeal chocolate chip cookies. My lad is well named for being just. He is quite good at making sure things are fair and did an excellent job at dividing the mixture in half before we added the raisins and chocolate chips. Mom... How much chocolate can I add? Oh... until it looks enough. :) Was my response. Chocolate chip cookies for one boy and his dad. me... I get to enjoy the oatmeal raisin. Next time though I think we'll work on the fraction 2/3. I don't need to eat half of cookies recipe and only leave 1/4 each for the two fellows. Might as well make it more fair all round eh? Then take the following three ingredient and cream them together. Then make a decision... will they all be raisin, or chocolate chip or ???? add about a cup of whatever you choose, or divide it up. Your choice, your tastebuds, your family needs. :) add a bit more than a cup if you have a fun-loving eight year old. This recipe originally hails from all-recipes.com. It was kinda a mixed up recipe. I started with enough cheese for doing a crockpot recipe then realized it was too late to crockpot so then just did a stove top version. The stove top version I loosely followed was this recipe I found at Allrecipes. but it was very much mixed up with the crockpot recipe. first off.. preheat the oven to 400.
cook the pasta til almost done. while that is doing it's thing make a white sauce by melting the butter in a frying pan, and once that is melted slowly adding the combine flour, mustard and pepper. Once that is thoroughly mixed add the milk VERY SLOWLY. then add all but one cup of the cheese. Mix until thoroughly melted. Top that with sprinkled bread crumbs. cook for 25-35 minutes until it looks done. I removed the cover for the last five minutes. Let cool a spell for children to eat, and then enjoy. Hubby liked this enough that he had two servings. Lad liked it enough that he finished his plate. I liked it well enough I'll do it again, but I'll cook the pasta a little less long. :) Probably use a tad less milk and cheese as well. But this worked so I"m not complaining. Educents deals: spend $10 or More and get $5 back. I live with an eight year old boy. This boy LOVES bugs and critters and fish and .... well if it moves he's fascinated. and we build ant colonies. This one has black common field ants in it. He also has one with yellow sand ants. Ladybugs (formally known as ladybird beetles) continue to be a source of fascination. This time of year we are inundated with asian beetles which the lad hates. THEY STINK and bite. So he captures and kills them by the bucket load as they are also an invasive species. This one is a lady bird beetle. A nice, helpful good bug that doesn't bite. We have had the joy of watching monarchs turn into butterflies. I could go on and on about the bugs in our lives, but I think I'll leave it at this. :) Cheerio folks. :) Say tell me something first.... what things fascinate your children? 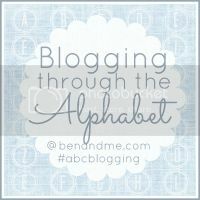 and don't forget to stop in at Ben and Me to read more about the letter B. Though Dad also caught him a blue gill. The blue gill is pictured below. He ends up completely soaked....but he thoroughly enjoys himself and he is learning so much, it's neat to observe. :) This schooling.... it is good, yes? "The earth is the Lord's, and everything in it." Fall into nature is the theme of this blog cruise. When I first heard the theme I thought... fall into nature... so an autumn theme that was nature focused? Then I got to thinking on it more and thought hmm.. around here we tend to fall INTO nature just a matter of course. And my lad taking to heart the tale of Robinson Crusoe building thatch house. Here.. it's for the pigs as part of their defence against the ANGRY BIRDS! and then teh birds... they needed to hollow out their cave just like Crusoe did. :) Made me smile inside to see books translate into real life. So let me see...how else do we fall into nature? We catch spiders and feed them. Today he didn't move quite fast enough, he put three jumping spiders together and I warned him...the big one will eat the little ones ... "oh mom, it will be fine I told them I'm catching them flies"... well...by the time he caught those flies we were down to 2 out of three jumping spiders and the lad told them they should've listened to him (and promptly put four flies in). We are now down to one fly left and two spiders... and did you know that jumping spiders have green fangs? The lad raises mice. :) I don't know if you can see the wee babies in this nest, but we have baby mice. From this the lad is developing his entrepreneurial skills, learning how to care for furry critters, maintain food and water, pay the bills, and conduct good business with folks. Neat to see him maturing in this regard. He's learning it's quite different maintaining mice rather than rabbits or guinea pigs. Mid-winter we started reading through the burgess bird book for children. This inspired some feeder action. We made some, we bought some, all summer we've been watching the birds come visiting our feeders. So as you can see, falling into nature happens as naturally as breathing around here. :) Pray tell....how do YOU fall into nature? To read what other bloggers have to say, follow this link please. :) (not open until Oct 22). Today the lad an I were busy in the morning. We read our books. We worked on our bible study guide. We so enjoy using these materials. You can find the review we did here. Then he needed to do his review work for TOS. Today it wasIXL and French Essentials. In IXL he practiced learning the full subject of a sentence, and greater/lesser than in math. In French Essentials we learned the accents. There are five accents in French. We plan to make some cookies later on today, but first I have a doctor's appointment to take care. We'll make oatmeal raisin cookies, and make some with chocolate chips instead of raisins to please the boys in my family. :) The recipe we'll use is this one.